If you’re looking for a way to watch your favourite television shows from back home, take a look at TVMucho for a low cost solution. We got in touch with TVMucho to see exactly how their system works and what you get for your money. You can watch programmes not only on your TV but also on all your other devices (computer, laptop and smartphone) so you won’t miss your favourite programmes. But just in case you do miss any, they also offer catch up viewing and programme recording. By using TVMucho you’ll be saving on an expensive satellite dish installation (and the annoyance of TV reception that depends on the weather). And for those of us that aren’t tech savvy there’s no need for a VPN (virtual private network) to unblock foreign TV networks. The owners of TVMucho told us that they came up with this idea by looking for a solution for their own problems as expats. They wanted something that was easy to use, would work everywhere, allowed for full flexibility across devices, but most of all would bring the home country TV experience over to your new home abroad. Just download the app for Android and watch TV on your laptop or tablet. There’s a free 7-day trial (no credit card details required) so you’re 100% sure that it works before paying anything. Connect to your Wi-Fi and start watching your favourite shows, news, sports, and series. You can also purchase a set-top box that’s just plug and play to watch programmes on your TV. You’ll be able to enjoy full broadcast quality and HDTV where available. Once your 7-day free trial has ended, you’ll have to decide on your subscription preference. No contracts. No hidden fees. No small print. Cancel, pause and continue anytime. Activate or switch subscription anytime. 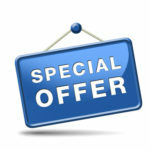 TVMucho subscription packages start from 4€ per month. Prices depend on the package and subscription period.